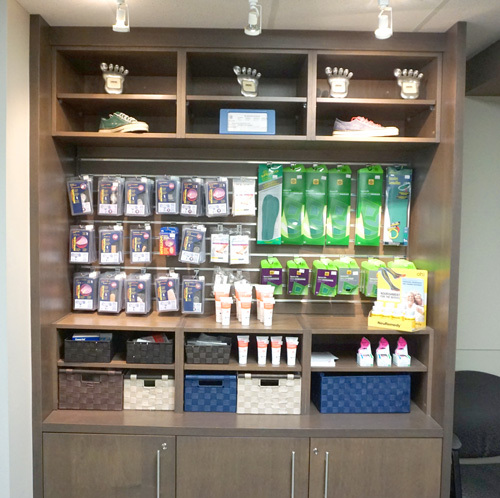 This in-office store offers many difficult to find and helpful foot products. These include foot creams for extremely dry and cracked foot conditions, a variety of padding and cushions to relieve foot pain (caused from corns, bunions, plantar fasciitis, etc. ), anti- odor foot cream and much more! Call 403-228-3668 for more information.